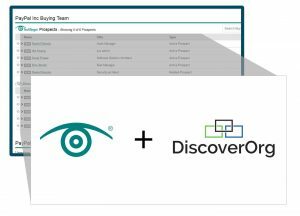 TechTarget, a provider of B2B technology purchase intent data and services, has announced the integration of DiscoverOrg’s account contact data into its Priority Engine platform. The partnership is designed to help users identify, prioritize and accelerate new pipeline opportunities, according to the companies. The joint solution combines TechTarget’s account purchase intent insights and Active Prospect activity with DiscoverOrg’s reach into account’s extended buying teams and contact databases. TechTarget-only customers will also be able to access up to 10 Recommended Contacts from DiscoverOrg at no additional costs, while those who already subscribe to DiscoverOrg will have unlimited access.